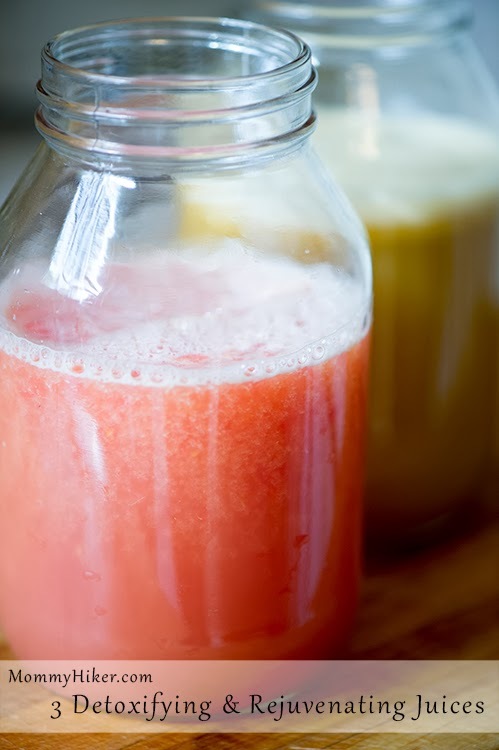 As a general rule, we are not big juice drinkers, especially store bought juice which is chocked full of added sugar and devoid of most of its original vitamins and minerals. We eat copious amounts of fruits and vegetables in our house and, for the most part, I prefer to enjoy all of the benefits of eating the whole food. But in the winter time, when germs are at an all time high and everyone we know is sick, we juice. It’s one way to ensure that we get the extra immunity-boosting vitamins and minerals we need to keep us healthy and active. Here are three of our favorites! Enjoy! I'm eager to try these! What sort of contraption do you use for juicing? We have a nutribullet that we are happy with, but I'm always curious to learn more options. Great Ann! Let us know what you think! We have the Solo Star II which is a low-rpm single-auger juicer, meaning it doesn't heat or damage the juice during the pressing. We love it!